Occasional eye irritation is something that virtually everyone experiences, but with the prevalence of digital displays both large and small in today’s society, chronic dry eye is something we see more and more. Rather than accept dry eye as an inevitable fact of modern living, it’s a condition that most people can manage effectively by making a few small changes in their daily lives. 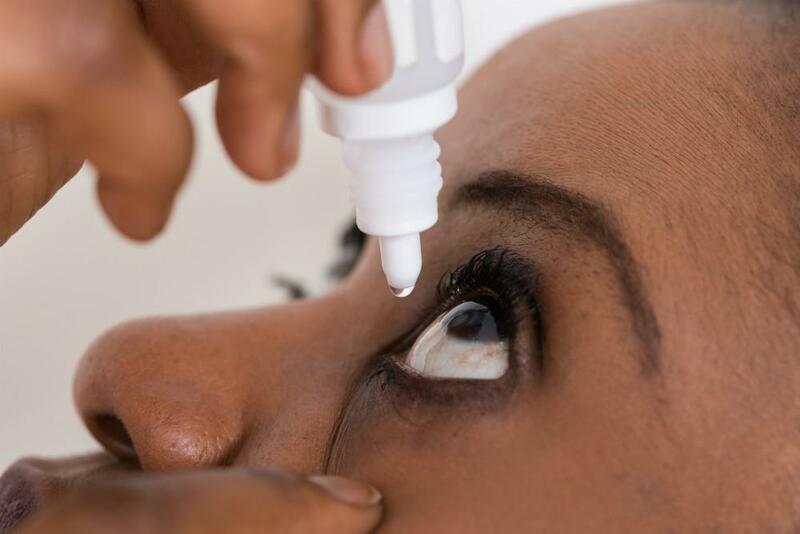 While dry eye can be a side effect of other diseases and conditions, such as diabetes, rheumatoid arthritis, or Sjogren’s syndrome, often it’s caused by environmental factors, such as exposure to dusty conditions or a hay fever reaction. When other issues aren’t at play, there are steps you can take that will make a noticeable difference. Your tears aren’t composed of a single solution, but rather three — each of which has a specific purpose. The layer that coats the surface of the eye helps tears stay on the eye and also keeps cornea tissue moisturized. The aqueous layer in the middle comprises most of your tear’s volume; it supplies nutrients and minerals for the cornea, and it’s what gives tears their salty taste. The outer oily layer resists tear evaporation and helps lubricate the motion of your eyelids. Here are five tips to help you maintain a healthy tear layer to prevent the annoyance of dry eyes. If you’re spending long hours in front of a computer, binge-watching your favorite television series, or indulging in social media on your smart phone, all that screen time takes a toll on your eyes. Your blink rate plummets as you concentrate, which means your tears aren’t naturally refreshed as frequently. The outer oily layer breaks down and allows more of the aqueous layer to evaporate, so the natural protective barriers over your eyes weaken. For every 20 minutes of screen time, look away for 20 seconds at something 20 feet away, and get some extra blinking in. You’ll avoid both dry eyes and eye strain. When contact lenses are your main method of correcting refractive errors, you might be prone to dry eyes, particularly if you’re in an environment that could cause your contacts to trap pollen or dust. Windy days are especially bad for this, so use sunglasses or other eyewear to add an additional barrier. Don’t skimp on your contact cleaning regimen, and don’t use disposable lenses longer than advised. Your eyes will also love an occasional day with no contacts at all, so switch it up now and then. Your body’s inflammatory response is a big contributor to dry eyes, whether due to environmental dryness, irritation, or allergies. Reducing inflammation means reducing dry eyes, so adding foods or supplements that are high in omega-3 fatty acids can give your eyes a break. Fatty fish like salmon, fish oil capsules, and nuts such as almonds are all sources of omega-3 acids, and these are also good for your cholesterol levels. If you can’t remember the last time the furnace filter was changed, you may be giving yourself an added dose of the irritants that cause dry eye. If you find your eyes start to bother you when you’re home from work, it may be your air quality, not the effects of a long day, that cause your dry eyes. Change your filters according to the manufacturer’s suggested schedule and don’t skimp on budget filters. Over-the-counter drops that simulate the composition of natural tears can make the difference between seeing comfortably all day and packing it in early due to eye irritation. However, stay away from store brands, formulas that target redness, or those with preservatives. Talk to your eye care professional about the best artificial tear product for your eyes.